For the first time, in 2011, the 6th SPSS Annual In-Hand Premium Show ran separately from the Stallion and Mare Gradings. 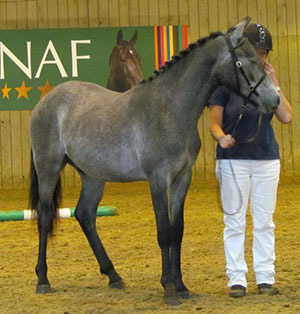 Instead, the Show took place as part of the Warmblood Breeders Studbook UK (WBS-UK) Mare Grading and Show Weekend at the prestigious Hartpury College, Gloucestershire. The SPSS is grateful to the WBS-UK for this fantastic opportunity and we were delighted to still have a good number of entries. The judges were SPSS Chair, Celia Clarke, and Frenk Jespers. Frenk Jespers was a member of the KWPN Stallion Selection Committee for 9 years, during which time he was also on the Dutch selection committee for the World Young Horse Breeding Championships as well as being one of the founders and a judge at the PAVO Cup (a competition for 4 & 5 year old dressage horses) in Holland. 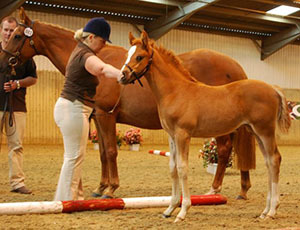 There were classes for foals and youngstock (aged 1 to 3 years) and the show was open to non-members as well as members and youngstock did not have to be SPSS registered. 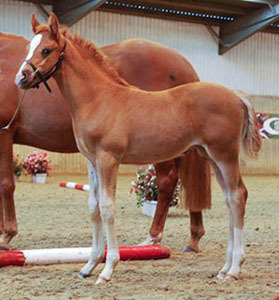 Another innovation for 2011 was the separation of potential competition ponies (ie not expected to mature over 148cms) from small competition horses (ie expected to mature over 148cms but no more than 158cms). 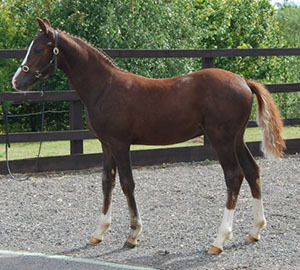 In both sections, Premium Rosettes were awarded depending on the mark achieved against the scoring criteria and the top scorers from each of the Foal, Yearling, 2 year old and 3 year old classes went forward to a Championships for that section. 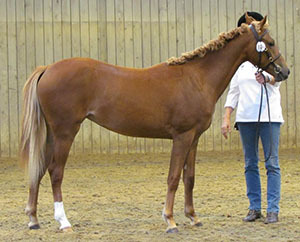 In the Potential Competition Pony section, the Champion was Fairlight Moondance a SPSS registered chestnut filly foal by SPSS sire Jonkers Metyo (NWPCS Sec K) out of Langara Saffron (by Cheyenne). 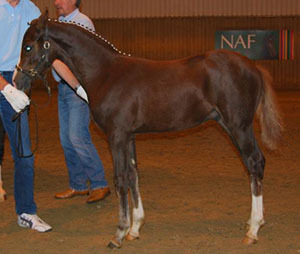 Fairlight Moondance was bred by Jo Sholl-Evans and is also a 2011 Futurity graduate, having gained a Higher First Premium. Reserve Champion was the SPSS registered grey yearling, Portmead Brimstone by SPSS sire Bernwode Brokat (Weser Ems) out of Portmead Amethyst (sire unknown), bred by Kate Odey. The two Champions and two Reserve Champions all came forward to contest the Supreme Championships and the judges selected Woodlander Wales to be Supreme Champion with Fairlight Moondance as Reserve Supreme Champion. contested by the Champion and Reserve from each of the two Championships. The Supreme Champion, Woodlander Wales, received a SPSS Thermatex Rug. The owner/breeder of the Reserve Supreme Champion, Fairlight Moondance, received a SPSS Sweatshirt. There were no entries for Class 3 (Competition Pony 2 year olds (fillies/colts/geldings)) or Class 4 (Competition Pony 3 year olds (mares/geldings only)). There were no entries for Class 8 (Small Competition Horse 3 year olds (mares/geldings only)).